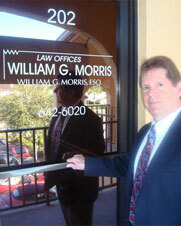 At the Law Offices of William G. Morris, P.A., we understand that the law is about more than documents and courtrooms. The law is about helping people in our community, a community that we have been a proud part of for the last 30 years. When you turn to our law firm for assistance with a legal matter, you can be confident knowing that you will have a lawyer on your side who has successfully represented your friends and neighbors in Marco Island and Naples for many years. You can be confident in our ability to successfully represent you. We offer a wide range of quality legal services, including family law, real estate and personal injury representation, including motor vehicle accidents cases. Our attorneys are proud to help clients overcome legal challenges on an individual basis. Our contributions go beyond the courtroom. We provide a weekly column, It's the Law, to the Marco Island Eagle. The column is designed to educate members of our community about common legal issues that they may be faced with, whether it is a personal injury claim or anything else. Of course, our service to the community is not limited to the legal field. We have a rich tradition of community involvement including Rotary, YMCA Capital Campaign, Marco Island Art League, Marco Island Foundation for the Arts, Marco Island Police Foundation Board, Marco Island Charter School Board, Marco Island Healthcare Center, Naples Freenet, Power Squadron, American Cancer Society, Naples and Marco Island Chamber of Commerce and the Florida Jaycees. Find out how you can benefit from the assistance of a law firm that has been part of your Florida community since 1983. Contact us today.